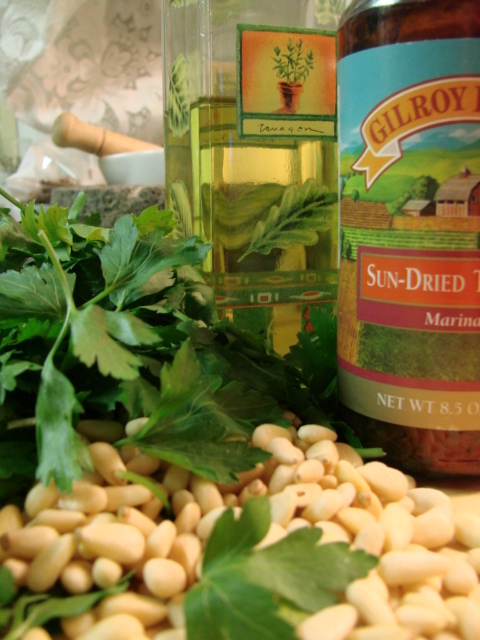 I got this recipe off the cooking newsgroup rec.food.cooking. 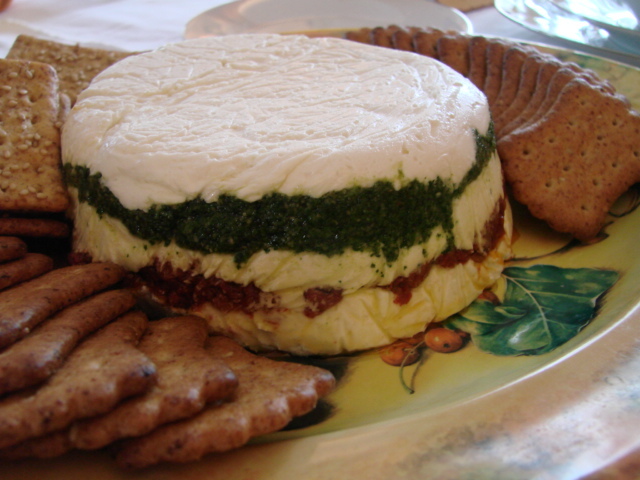 It is one of the signature dishes of the late Susan Hattie Steinsapir. I made a couple of very slight changes to the recipe. 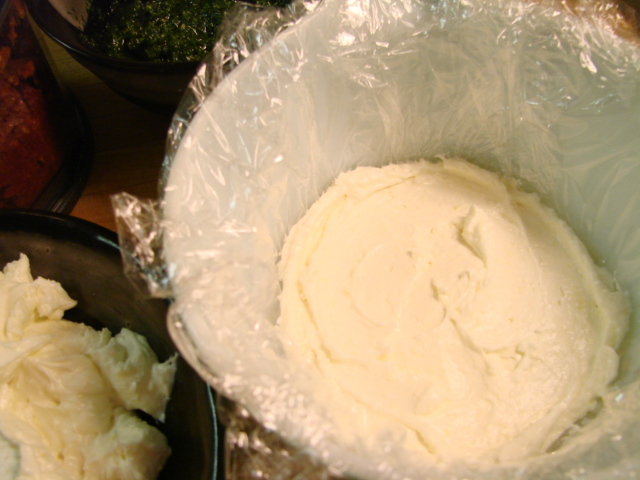 I use the full block of cream cheese and the full 5.5 oz package of the goat cheese. 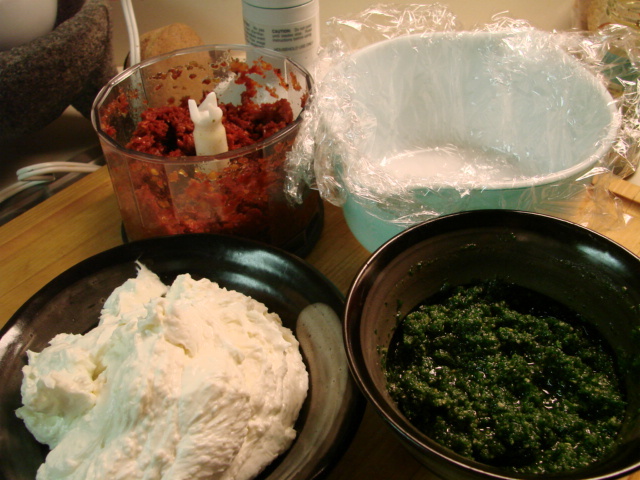 I also make my own pesto from Italian parsley because I like the bite it offers the dish. 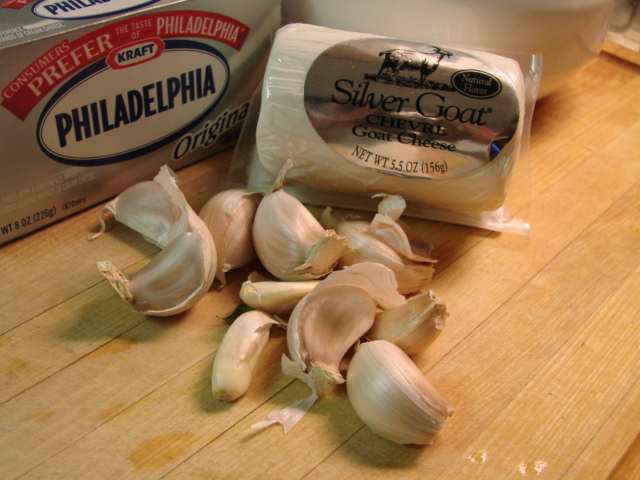 10 cloves of garlic ran through the garlic press. 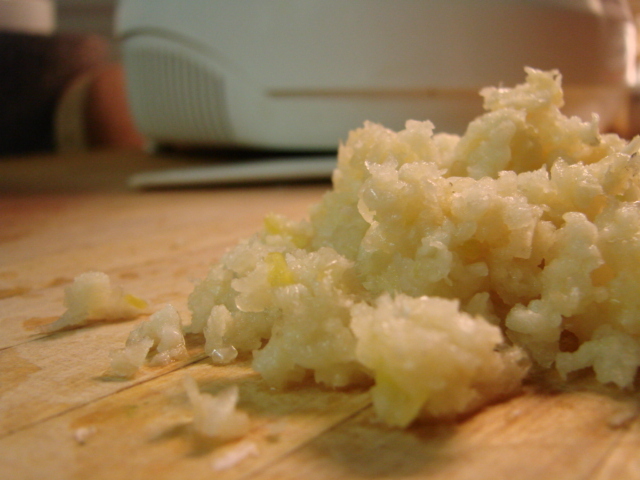 I prefer the garlic pressed rather than minced for this recipe. 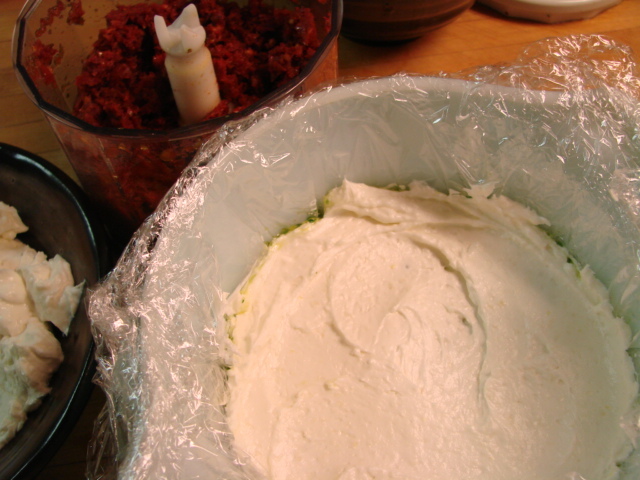 I make the all the layers in the food processor starting with the cheese, then the pesto. I don't make the pesto by hand for this dish, nor do I add the Parmesan cheese to it. 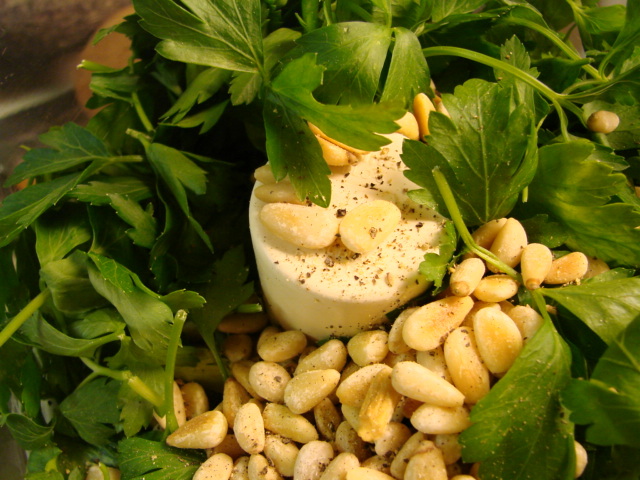 Just parsley, pine nuts, olive oil and freshly ground black pepper. 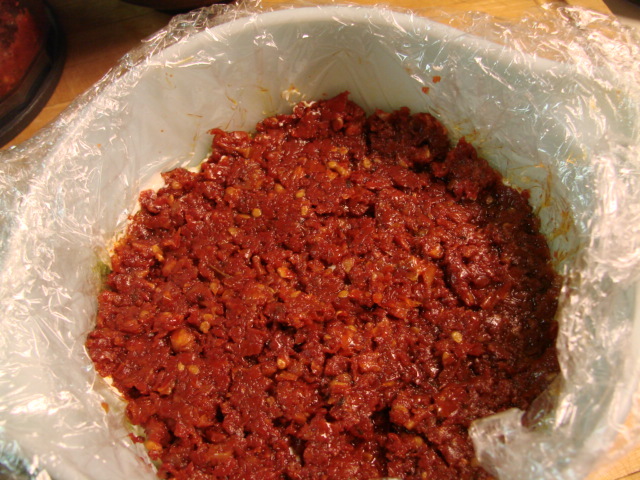 Run the sun dried tomatoes in the food processor also. 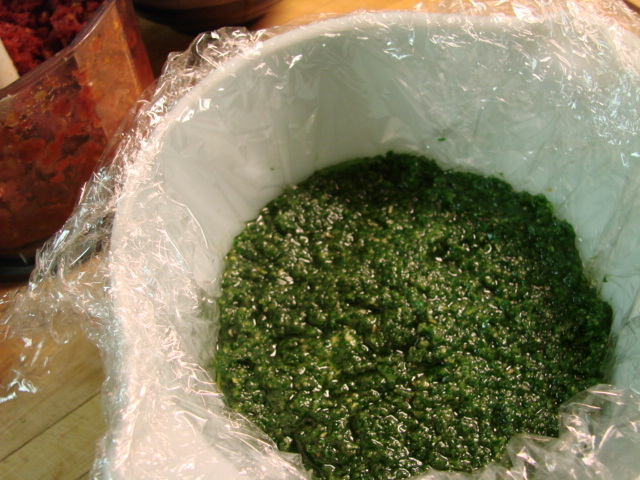 Use only enough of the oil from the jar to achieve a smooth pesto consistency paste. 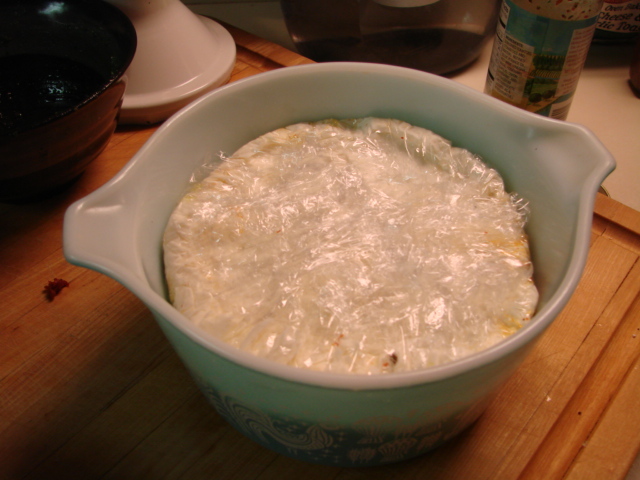 Wrap up and refrigerate for at least two hours or best, over night. If I waited until I could layer this perfectly I'd never get this posted so here it is. 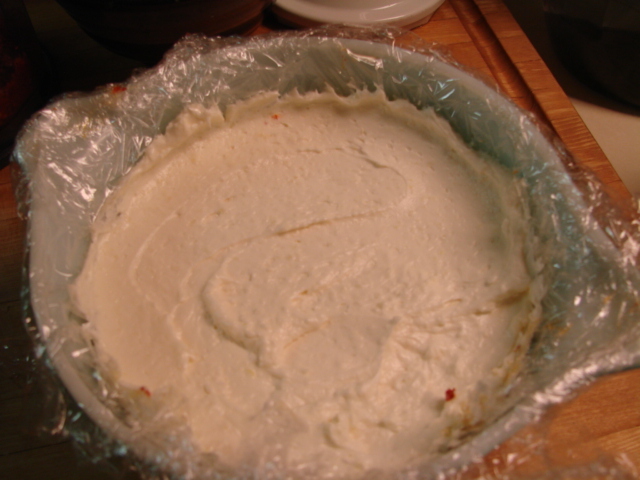 I guess I should call it Rustic Goat Cheese Torte. least 2 hours, and up to four days.